You cannot overestimate the importance of a website for any Ecommerce business. According to the studies, 81% of people perform online research before making a purchase. And the results of that research should be your website in the Top 10. If you manage to persuade your visitors that your online store is the best choice, you will build loyal relationships with them and make them come to you again and again. If you manage to create the trust for your website, you will be able to move your customers down the marketing funnel every time. When users trust the brand, they will not only keep interacting with it but may also share their insights with you more openly and even become your brand’s advocates. Let’s check out the tips that help you to build trust in your Ecommerce website and gain you the loyal customers. All in all, you have to build trust with people, not the machines or Google managers. So your audience should be your focus point. You should address their issues, empathize with them and make them your loyal followers. You should know who your customers are and listen to every complaint or request that you get from them on social media channels or in support chats. Ask them directly about their opinions and needs. There is a great tool Canny.io where you can track the feedback from your customers and organize the feature requests. Address to your customers using the 2nd-person narrative. It puts your audience in the center of your story and makes them feel engaged with your brand. Share the product insights from the users’ point of view, offer various case studies and success stories from other users. This summer, after a few years of advocating the use of HTTPS encryption, Google started marking HTTP websites as “Not secure.” Google claims that over 78% of the Chrome traffic is safe for users and this trend will continue. So if you want to show users that their info is safe with you, you should protect your website by setting up the SSL protocol. Keep all your plugins, themes and other website software updated. Regularly check your site for viruses, malware, malicious software and take security measures immediately. Those activities should be your top priority especially when you run an Ecommerce site. People are sharing their financial details with you, so you should convince them in your exclusive attention to the security. About 94% of online shoppers say they are more loyal to those brands that express total transparency about what they’re selling. Shady businesses hiding the information from their customers won’t survive the digital era. Thus, you should be open to your users and provide them with all the vital information about your brand. Show how your products are made or what it takes to create your business. Share the documentation about your product specifications. Some companies even share their quarter revenue numbers or marketing tactics they used to achieve success. Don’t be afraid to tell about the product’s possible pitfalls or vulnerabilities. Thus you escape many complaints and keep your customers from turning their back on you. Research from Stanford University reveals that users often evaluate if a site is worth their trust by its design alone. If you don’t bother investing in a professionally-looking design, your potential customers will start looking for another solution and probably end up with your competitor’s website. A well-organized website that is user-friendly, easy-to-navigate, flexible and fast loading, evokes confidence and trust in a user. Use a color scheme that reflects your brand’s identity. Keep the design clean and consistent on all its stages. Use legible fonts and responsive images that look great both on the desktop and mobile devices. And consider using photos that add a personal touch to the site and show the unique image of your brand. Take a step further and share more personal detail about people who work for you. Pay exceptional attention to the two important pages on your site - About Us and Team. You can combine the info from both pages and fill the About Us page not only with the story of your store but with the real photos and stories of people who are behind it. Ask your employees to write their short bios for that page and include some nice personal details like their favorite writer or a dream they have. When customers see who stands behind the scenes, they establish personal connections with the business. And it helps to boost credibility into it. And don’t forget to add more contact information on the page like a few emails, phone numbers, Live Chat window, etc. to make the connection with the customers more flawless. Educate your customers on how they can use your products to get the full advantage. When you offer detailed, valuable tips for free, it helps you to establish long-term relationships with your customers. It also tells your users that they can trust you and stop looking somewhere else for the advice or guides. So consider creating helpful articles, guides, and infographics, educational videos or even podcasts. Most Ecommerce site owners already know that blog is a must-have for their site. Its content helps attract backlinks which boost the website’s rankings in SERPs. It also helps get more leads that can become loyal customers. You see, when people come to your blog for the content, they may not buy anything the first time. But when they keep coming for the useful tips or educational videos, they soon may consider purchasing your product. Thus, you build not only trust but also attract potential clients to your online store. Modern online shoppers trust online reviews more than ads and celebrities testimonials. That’s why the Testimonials section is essential for creating credibility among your customers. And one of the best things about it that you can get those testimonials for (almost) free. Encourage your users to express their opinions about your product. You may even offer a small reward for the most helpful (avoid asking the “positive” ones) reviews. Choose the most prominent reviews and opinions they leave on your site, on product pages, on your social accounts and review sites. But avoid writing fake reviews to improve positive image of your brand, show only the real ones. Today's internet users start their path to purchase from the online research. They are looking for a product they would like to by. And then they are checking what others say about the brand or a store where they are to buy the goods. You should take care of your online reputation and make sure that your store is positively represented on the web. Set up Google Alerts to regularly get the info about the mentions of your store online. Check out those mentions and see if they are positive and how can you improve the negative ones. Thus, if you see the inaccurate review, you can reach out to the influencers who mentioned your brand in the article and ask them to fix the outdated info or remove inaccurate information. Be polite and save the time of those influencers: prepare the proper information, make the screenshots with the proper data and send them to replace the outdated parts. 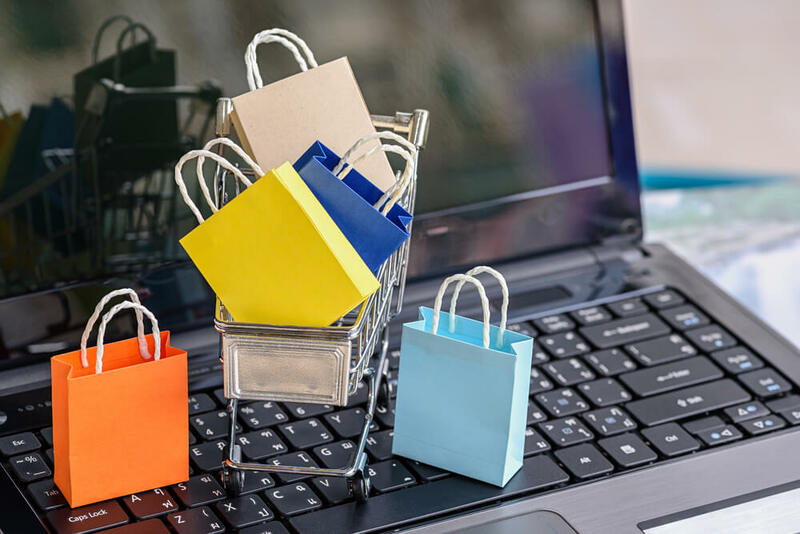 High-quality and user-focused design, total transparency and clear communication are those cornerstones that help online stores to establish long-term relationships with their customers. Most users don’t care about the product’s awesome story or dazzling features if they don't trust you. And they have no trust in sales content anymore. You should include trust-building activities in your everyday marketing routine. It’s a neverending process but the rewarding one. If you gain user’s trust, you will get more loyal customers in the future what will increase your sales.